Well hello 18 weeks! It seems like just yesterday that we were heading in for our first appointment. That was over ten weeks ago. I feel like this has been a big week in terms of change and growth. 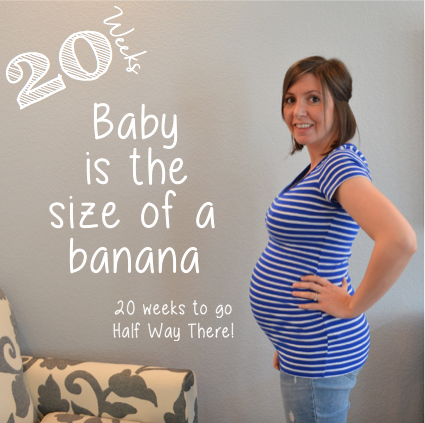 Based on my baby bump week to week pictures, we had a huge growth spurt! How big is baby: Baby is the size of a sweet potato. Gender: Its a BOY!!! Yes, we are adding another boy to our family. I couldn’t be more excited! Weight gain: As of today, I have gained twelve pounds. I am pretty sure it is all belly! Maternity clothes: No exciting news here. Just trying to figure out how to stretch (literally) my non-maternity gear. I really want to purchase some maxi dresses, but I have been dragging my feet. Sleep: Oh sleep. How I miss you. I have no problem falling asleep. The problem comes in trying to STAY asleep. I am just so uncomfortable. My arms fall asleep, my hips ache and my ear hurts. And the Snoogle makes it difficult to flip over in the middle of the night! Best moment this week: The best moments this week have been feeling the baby move consistently. This week has been the first week that I have felt much movement at all. Now I am feeling him wiggle around at least a few times each day. Miss anything: Sleep. I really miss sleep. And beer. Fat Tire. Movement: As I mentioned above, I am starting to finally feel the little man move around a bit. It seems to be sporadic, but he is always in the same place. I am looking forward to more consistent movements in the weeks to come! Cravings: I seem to be following the same trend here. I don’t really have cravings, but finding something appetizing is becoming increasingly frustrating. Bless my husband’s heart for putting up with my food-related tears. Symptoms: I am still struggling with the same symptoms from last week; exhaustion, headaches, and belly aches, here and there. 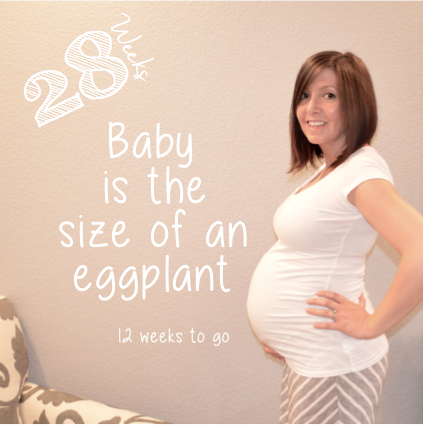 Looking forward to: We are now just two weeks away from our anatomy scan. We are looking forward to seeing our little guy once again. Most importantly, we are looking for further evidence that everything is a-okay!